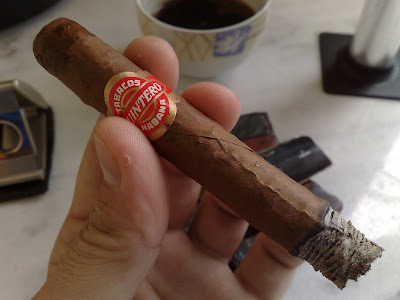 First puffs deliver nutty flavor, underlined by leather and pepper. It tingles back of the throat immediately. 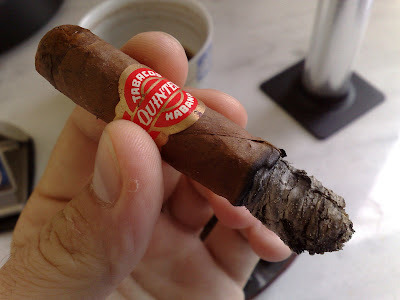 Nose blow nutty with generous pepper - not recommended for new smokers. Draw loose, even with punch cut. 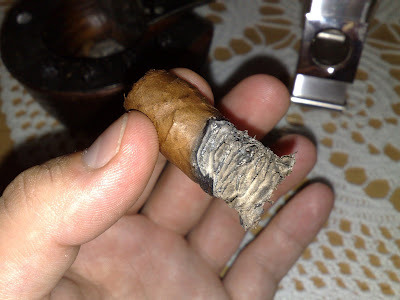 Thin burn line with somewhat loose ash. 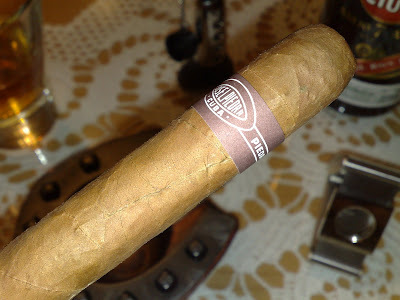 It continues in nutty fashion strongly backed by pepper and a touch of worn leather. Abundant smoke. Nearing second third salty notes join nut and pepper in the foreground, while cocoa is detected in the back. Ashing reveals cone. Body in the medium. Slowly, unsweetened cocoa appears from the background and starts dominating. Pepper eased out of the picture and nuts retreat to the back, but still show presence. 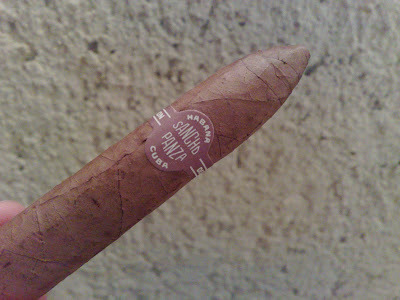 Light charry, salty finish. 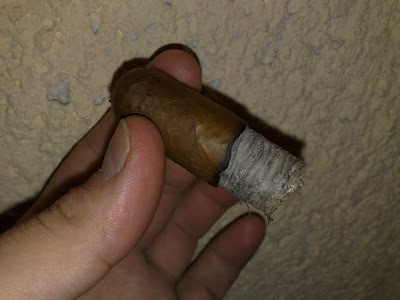 I really have to pace myself to preserve flavors, as the smoke overheats very easily due to excessively loose draw. Body in the solid medium. 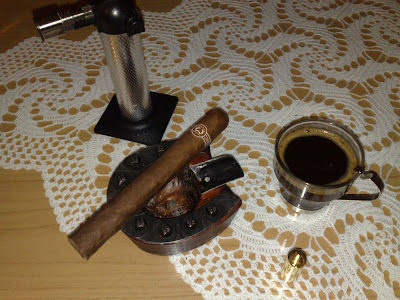 Wonderful aroma: chocolate and roasted nuts. Flavors at this point are static. Finish remains salty, with charry notes increasing. Pepper slowly returns and takes centerstage. Bitterness dominates with pepper trailing. Body stayed in the medium. 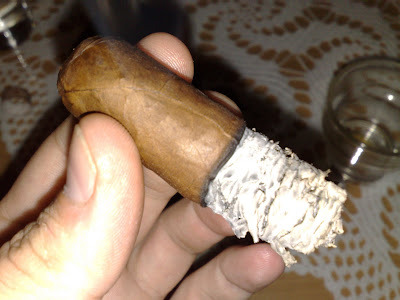 No tar build-up, nice fermentation. Finish long, spicy bitter wood with just a touch of leather. 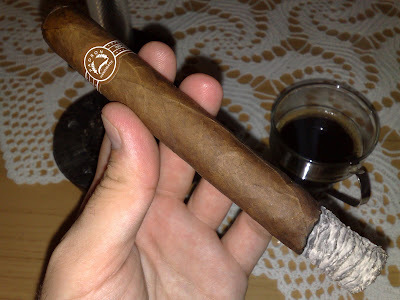 What to say about Padrons? 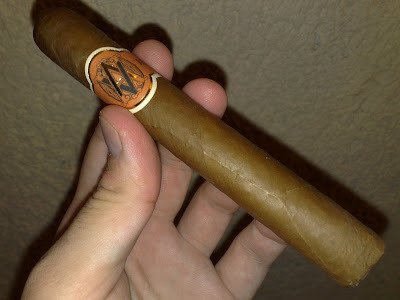 They are really consistent cigars, good quality, value oriented cigars with great flavors and aroma. I just love them.... when they are good. 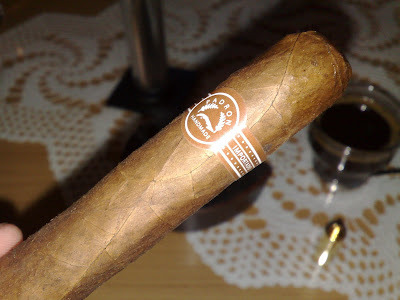 My consistent ("PADRON" THE PUN :-) problem is loose draw. 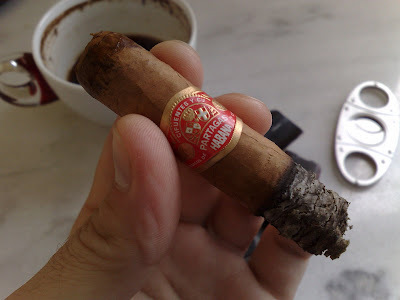 I don`t mind haphazard appearance, as I "judge" a smoke on its flavor and performance, not cosmetics, but loose draw really spoils the enjoyment I get out of these, as I have to pay really close attention not to overheat the smoke. 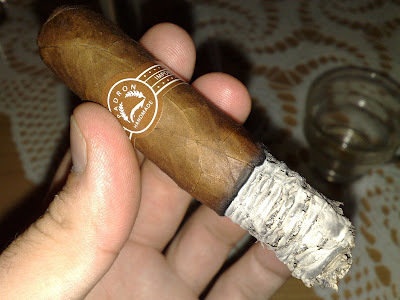 I guess Padrons really loathe plugged smokes, so they over-insure it does not happen with their smokes. 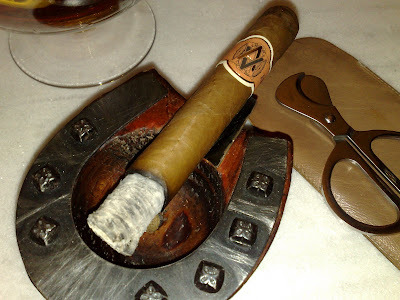 Otherwise, these are fantastic and every cigar smoker should at least try these. 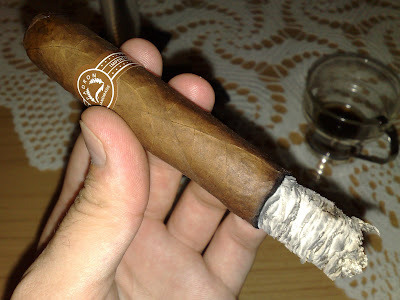 Upon light intense earth and salt hit the palate, with wood and leather in the background. Smooth with no bite whatsoever. 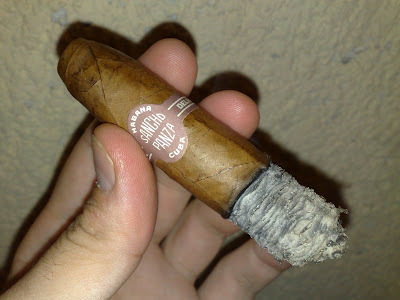 Nose blow effortless and defines salty notes on top of leather. 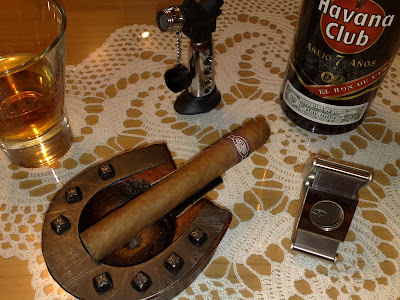 Smoke leaves palate dry, so have a drink on hand. I sure did. 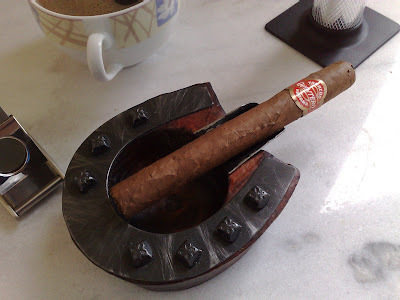 Tipical cuban burn. 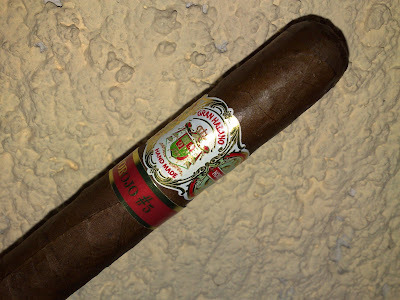 Rum brings out floral notes with wonderful non-sweetened caramel aroma and toasty finish. Ash is fragile and easily drops. Body in the mild to medium range. 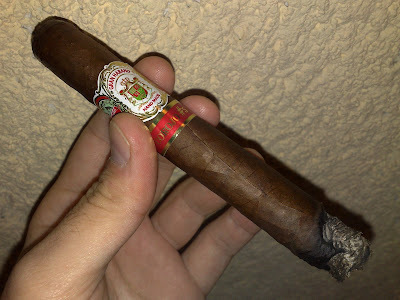 No surprises here, complex is not a word to describe this smoke. Flavors are static, but not unpleasant or boring. Body barely medium. Ash drops yet again and cannot even grow to an inch. 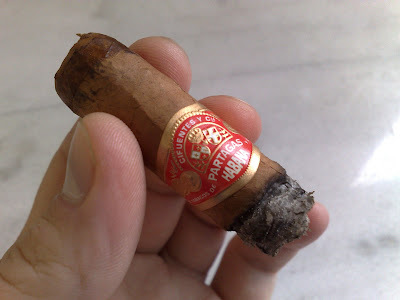 A thing really going for this cheapie on value but not on performance is constant flavor. It does not budge and delivers what its got tall and proud. 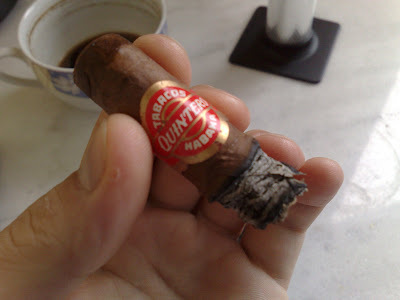 No bitterness, no tar, good aroma, thick, rich smoke and good, albeit thick burn. This is definitely a single tone tune, but it rocks anyway. 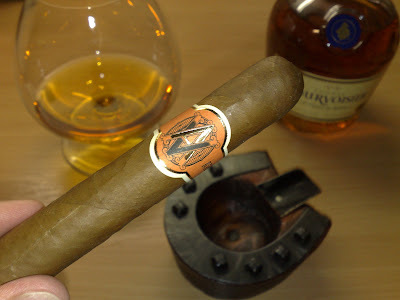 A faint citrus note is finally picked up on the nose blow and also on the finish. More of the same `ol. It`s interesting to note that neither body nor flavor increased in the final third. Not even a hair. A textbook constant. 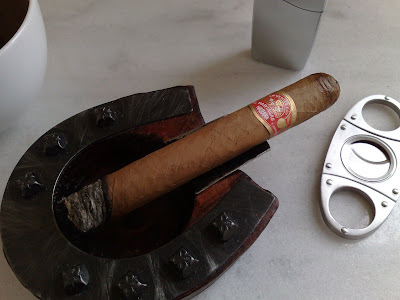 Jose L. Piedra are some of the cheapest cuban cigars you can buy. But they are definitely not "cheap". 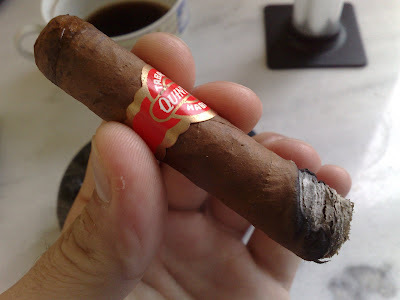 Sure, there is no complexity, no divine aromas, no silky wrappers... but there is honest cuban flavor and experience. 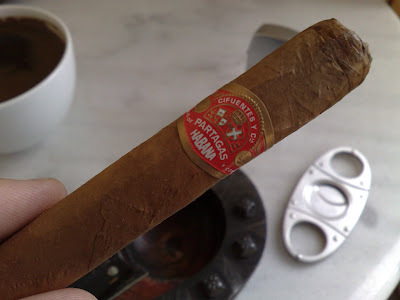 For a short-mixed filler cigar or a cuban daily smoke you can hardly do better. 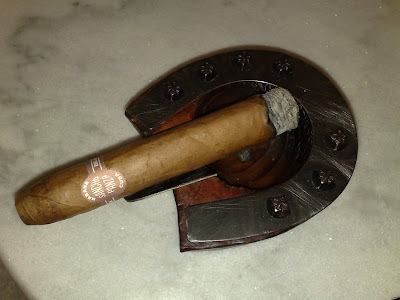 At the prices they go for, you can stock up on them, let them rest for a couple of years and you truly have a small gem on your hands, plus your wallet will thank you. PRELIGHT: cedar, hay, barnyard, licorice?? 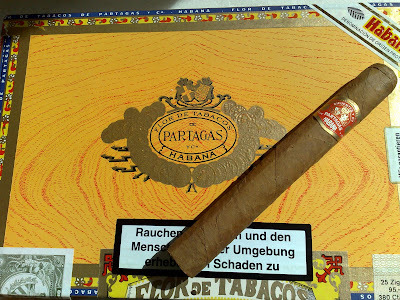 This cigar starts with generous earth, hay and distinct floral notes. Salt in the background. 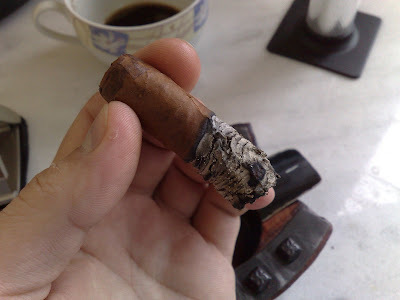 Not a lot of smoke, even with perfect draw, indicates bunching issue. Thick burn line and wavy burn. 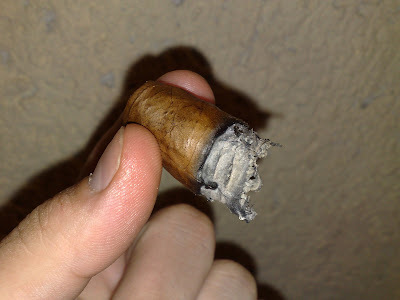 All this usually means a hole in the filler and I hate this even more than a plugged smoke. 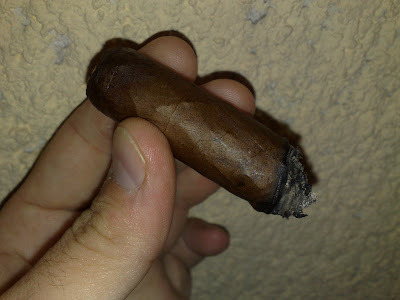 After an inch of working through the problem, the burn normalizes and finally flavors start to shine. 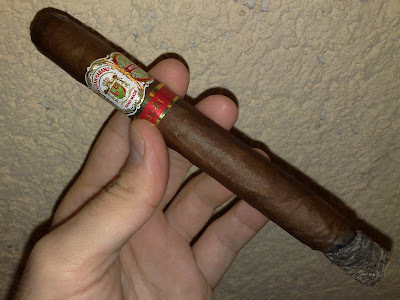 Nice smooth, clean tobacco taste with fruity notes and easy nose blow on the apple-cinnamon side. 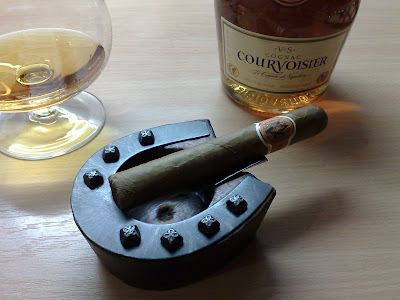 Unusual and probably result of great pairing with young cognac. Very enjoyable. 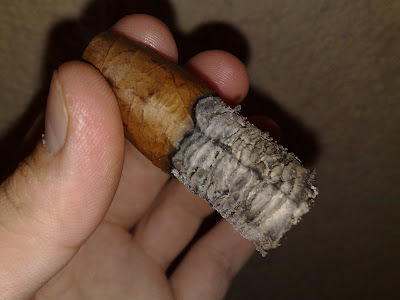 The ash looks kinda funny, compact, but definitely not "healthy" all around. 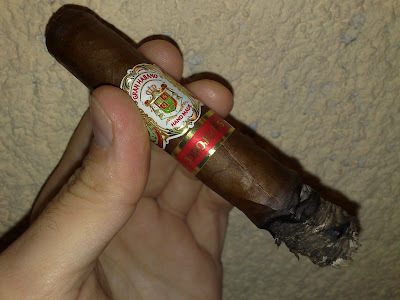 Brings about distinct citrus along salty tobacco. Body in mild to medium range. Wife compliments on the aroma. Finish is very light. Burn finally evens out and ash regains "healthy" look. Apple persistently trails on the nose with only a hint of cinnamon. Short salty finish. Body climbed to medium. Flavors from the second third static. Physical performance admirable with no problems whatsoever. 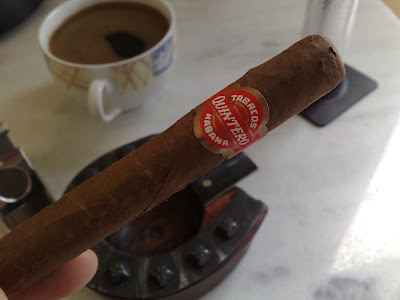 Salty tobacco with bitter woody notes. No tar build-up. 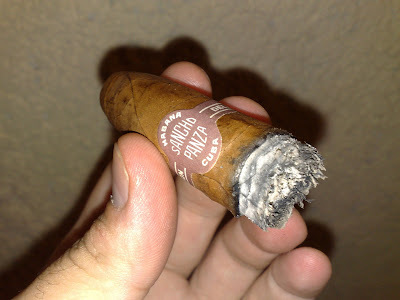 Long salty, charred wood finish. 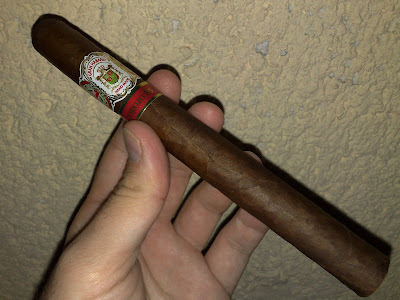 This is my "keep a few in the humidor for a change of pace" stick. 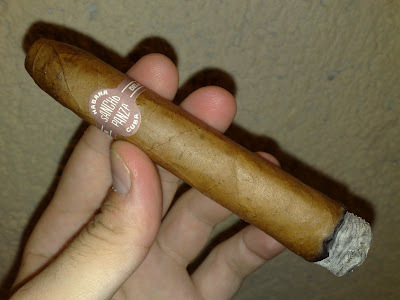 It is well priced, quality, flavorful dominican smoke made by Hendrik Kelner. 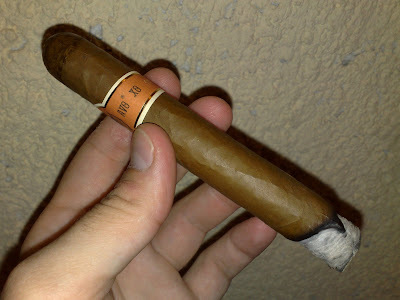 On its own, I label it ideal for someone who enjoys milder, but not mild smokes or a morning smoke. 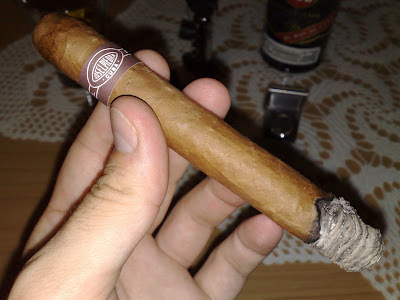 Courvoisier was great company to this smoke with its youthful, fruity profile. 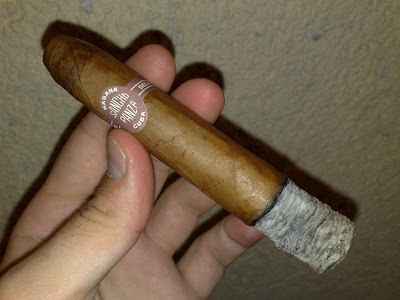 It "lended" a solid body to this smoke, making it also perfect for someone who enjoys a "hammer" of a smoke. Earth, cedar and thin pepper greet me at the outset of this smoke. Nose blow floral, smooth. 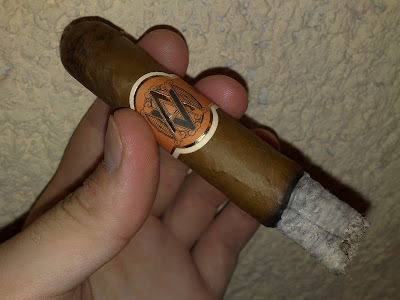 Vanilla reveales itself on the nose. 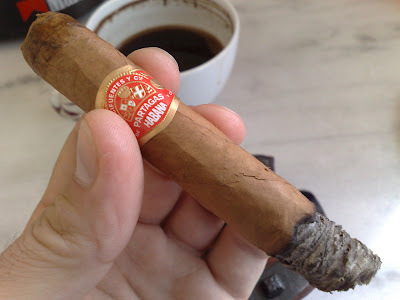 I really enjoy this fantastic aroma. 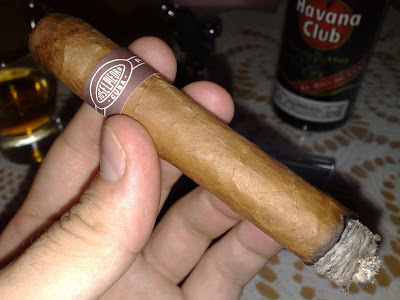 Tipical cuban burn, mild to medium body. After half an inch, leather and wood join earth, while cedar fades to background. Pepper is no longer detected. 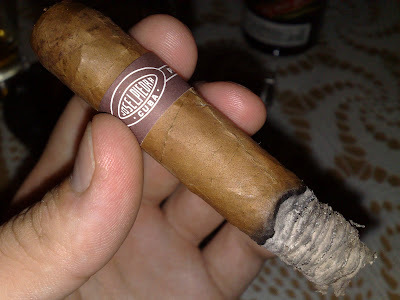 The smoke is smooth with woody finish on a slightly bitter side, but not unpleasant. 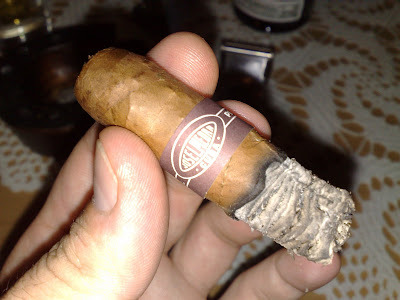 I noticed substantial rest burn. Nose blow picking up citrus notes. Citrus becomes prominent with wood accent, leather and earth retreat to back, but don`t go unnoticed. Body climbes to medium and holds. Vanilla persists on the nose. Nearing the final third, cocoa is gaining momentum with ever-so-slightly anise, just barely enough to notice. I have never picked this note before and it took a while to pinpoint. Sort of reminiscent of greek spirit Ouzo. 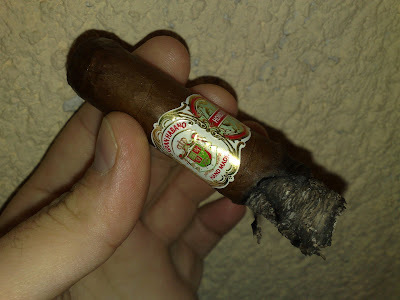 Even though very compact, the ash suddenly drops. 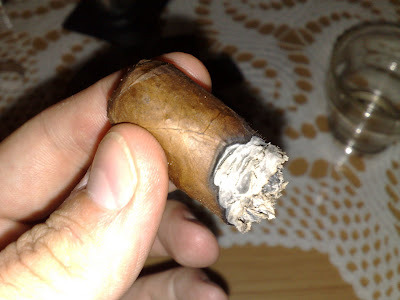 Small cones formed throughout the smoke, indicating aged, rested cigar, but no way to confirm this as I purchased singles and haven`t checked the box when buying. Flavorwise, wood dominates with bitterness slowly rearing its ugly head. 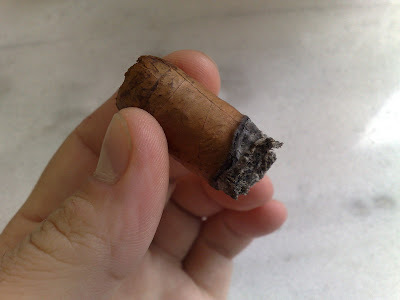 Luckily, it didn`t last but a few puffs. Finish fruity - citrus and anise. Body settled in solid medium. Tunnel starts forming at this point. 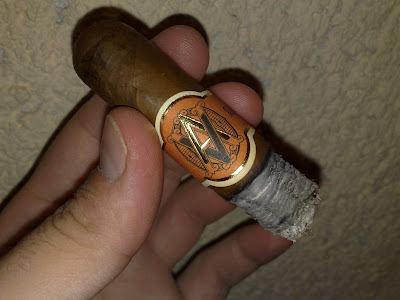 Enjoying this one so much, I burned the band. 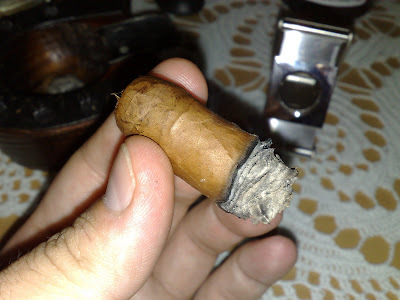 Nothing new transitioning to the nub, everything just complementing everything. Delivers until I burned my fingers. 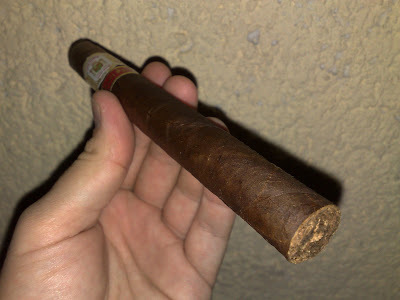 This cigar is usually too mild for me, but today I was really beat from rearranging our bedroom for my soon-to-be-born baby girl and it was just what the doctor ordered. 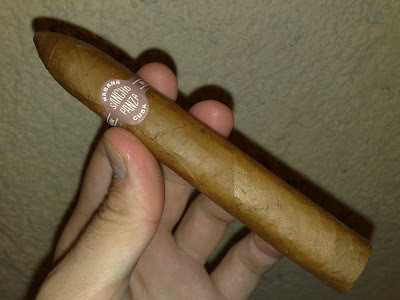 At 9 EUR per stick it`s a little steep for me for a box buy, but I will always have a couple on hand.